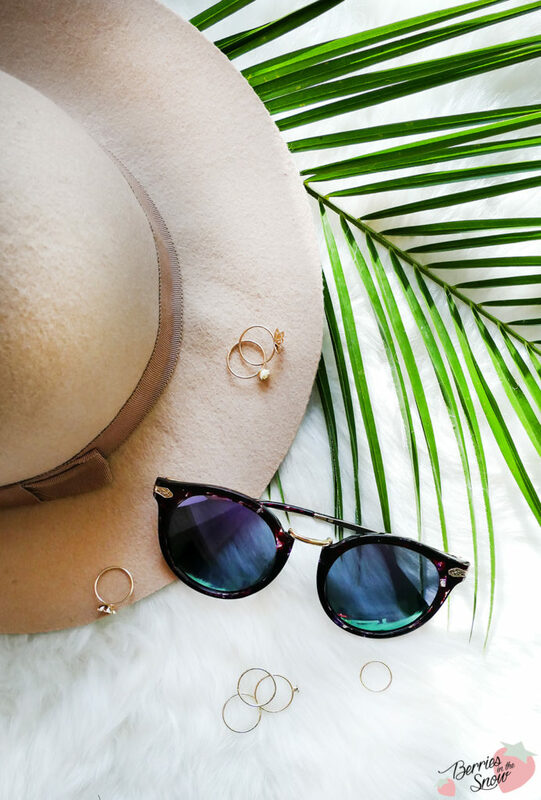 In summer my favorite accessory are sunglasses. 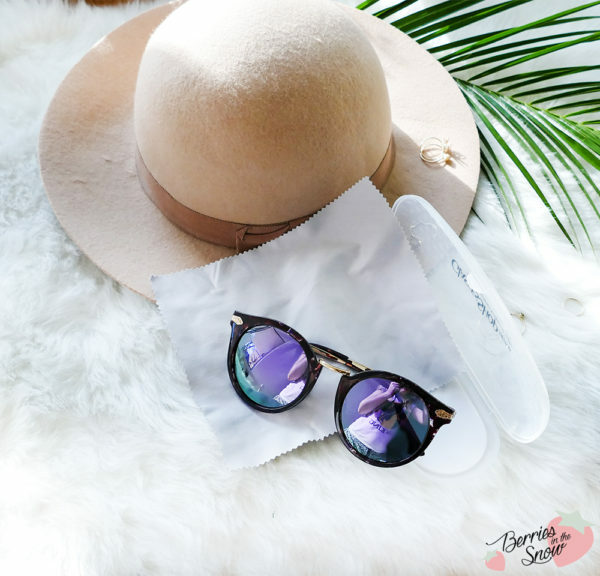 They are useful for your eyes and they come in so many colors and shapes and can definitely complete an outfit to its perfection. 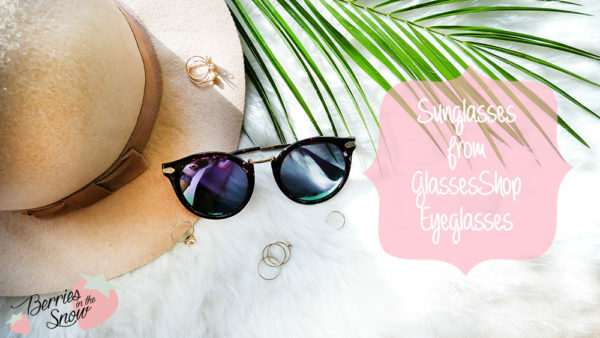 A while ago I was asked by GlassesShop Eyeglasses whether I would like to try any of their products and since it is summer and travel-time I decided to try one of their sunglasses. 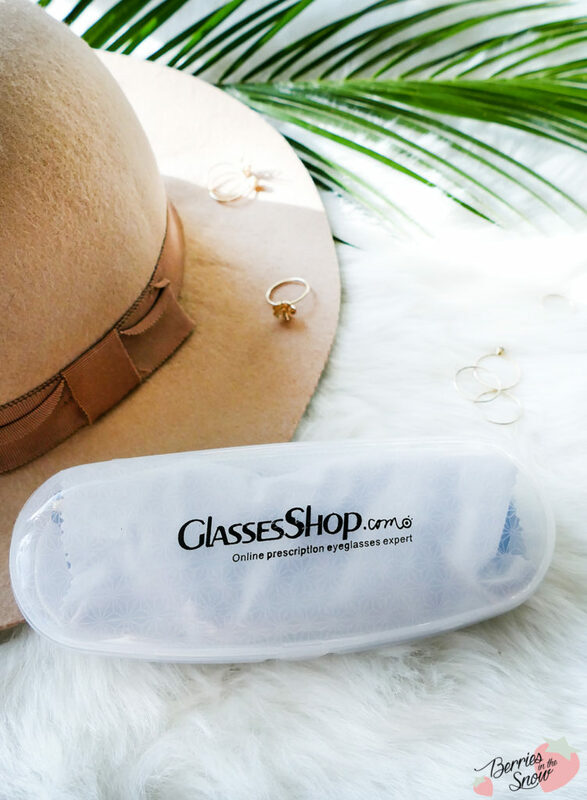 GlassesShop are a retailer for glasses online. They have a selection of prescription glasses and sunglasses. Each pair of glasses will be delivered including a plastic case including a micro-fabric tissue for cleansing. 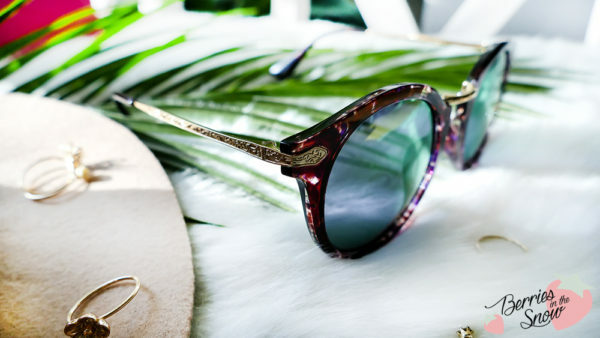 Among their sunglasses I knew from a first glance that I loved the Edith Round Multicolor Sunglasses. Those sunglasses looked already pretty from the picture, but when I received them they were even more stunning than I thought. Look at the beautiful purple mirror coating of the sunglasses. 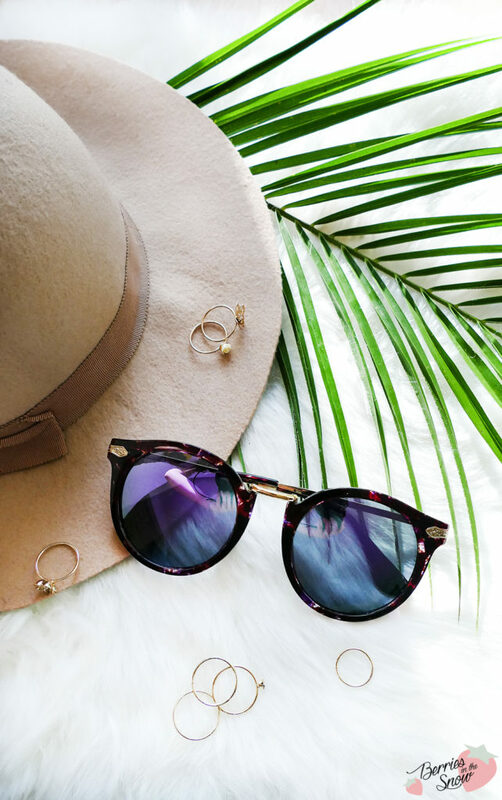 The frame of the Edith Round sunglasses is full and the shape of the sunglasses is round, with a cat-eye shape. The material around the eyes is brown colored marbled plastic while the metal temples have a golden color and have beautiful ornaments. I love the polarization effect and the blue and purple colors it reflects. 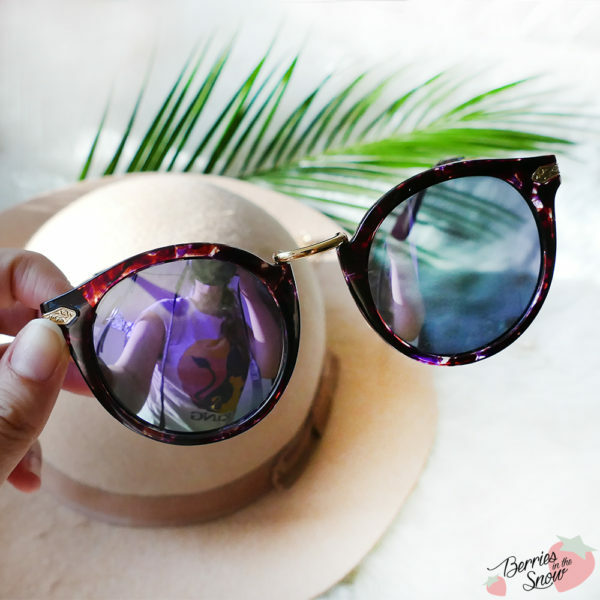 I love the color and shape of these sunglasses from GlassesShop. I hope they will be a good choice for the summer vacations. Although GlassesShop also has prescription sunglasses I chose sunglasses without prescription for myself because I wasn’t sure whether my prescription has changed. Since I’m wearing contacts most of the time it would be my regular choice anyways. The sunglasses retail for 34.95$. If you want to check out GlassesShop for yourself I have a coupon code GSHOT50 for you to have 50% off on eyeglasses and sunglasses with free lenses (sale frames excluded). Just as a short reminder: All products mentioned and reviewed on this blog are of my personal opinions. This product here was sent to me for reviewing purpose by https://www.glassesshop.com/ which doesn’t influence me in providing my honest opinion on the products. omg love these so much!